Document Notes: One of the Final Report series produced by the WRA. 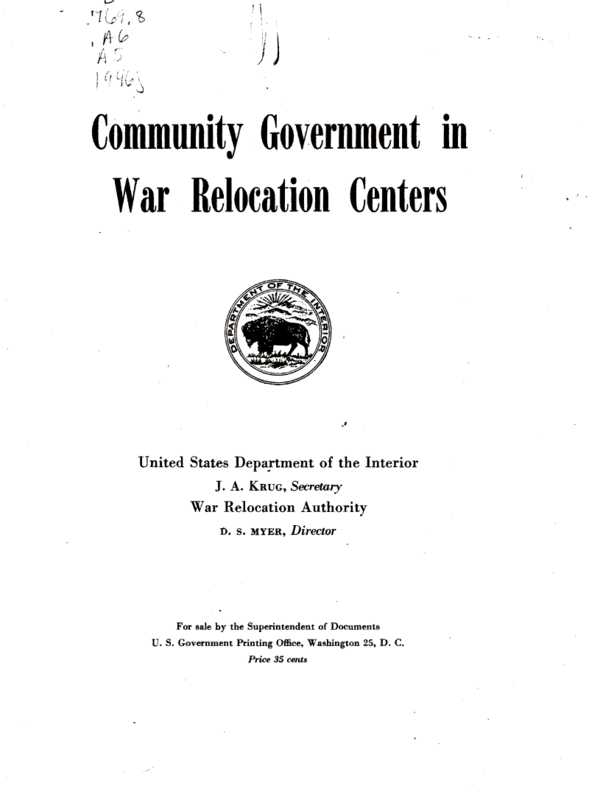 Give detailed information on the operation of Relocation Centers. Provides information far beyond the "concentration camp" version of the event. Reveals the interest and effort of the WRA to provide the best solutions to a difficult situation.